Archangel Gabriel is the famous messenger angel from the Christmas story of Luke. 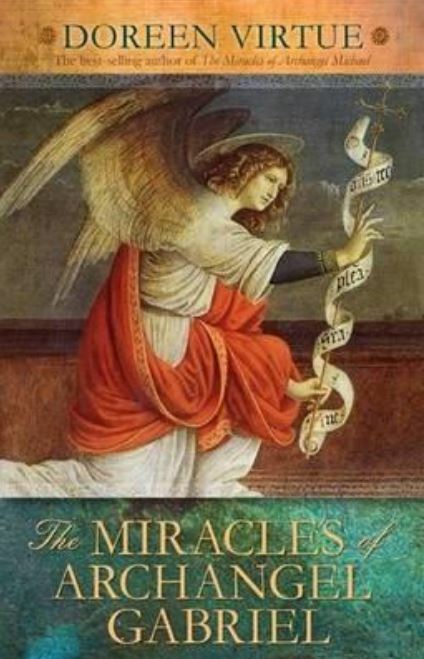 In this compelling book, Doreen Virtue offers more information on the history and characteristics of Gabriel, to increase your knowledge of and connection with this remarkable angel. Gabriel is still with us, helping people be messenger angels - including teachers, writers, musicians and artists - and helping parents conceive, adopt and raise their children. You'll read true stories of people who were miraculously aided by Gabriel, and learn how you, too, can receive assistance with your messenger work and parenting. Gabriel's messages and energy is for anyone who seeks the wisdom and love to mentor children. Just like Gabriel, often shown with a heraldic trumpet, you too will soon see how you can announce your purpose and passion to the world. Whatever your dreams and desires, Gabriel will give you the enthusiasm and confidence to express yourself with your whole heart.